During the month of March, we celebrate Blood Clot Awareness Month. According to the National Blood Clot Alliance, 274 people die every day due to blood clots. This means each year, more people lose their lives to blood clots than AIDS, breast cancer, and motor vehicle accidents combined. As a medical professional, you know the dangers and nondiscriminatory nature of blood clots. How are you spreading awareness of these dangers to your patients? “We must always be aware of the dangers of thrombosis, including stroke and pulmonary embolism. This starts with identifying patients who are at increased risk of developing blood clots, especially those with a recent hospitalization or major surgery. Other groups at risk are those who have prolonged periods of immobilization, the elderly, or conditions which make them more prone to developing a clot, such as cancer and atrial fibrillation. We should be educating our patients who are at risk about blood clot symptoms. For venous thrombosis, these symptoms include new leg or arm pain, swelling, warmth, and discoloration. Symptoms to watch for with pulmonary embolism may include shortness of breath, chest pain with breathing, an irregular heartbeat, and cough with or without hemoptysis. Thrombi caused by atrial fibrillation may cause a TIA with symptoms such as weakness or numbness of one side of the face or extremities, slurred speech, or dizziness. EvidenceCare provides content to keep providers and patients in-the-know. Our CEO and founder, Dr. Brian Fengler, thought of the idea for EvidenceCare when faced with the difficult decision of how to treat a woman who was 36 weeks pregnant and suffering from a pulmonary embolism. When Dr. Fengler had trouble finding quality, evidence-based information on treatments for this kind of situation, he knew there was a need for a tool like EvidenceCare. You can read more of this story here. Because of this, when we began developing our content, pulmonary embolism is where we began. 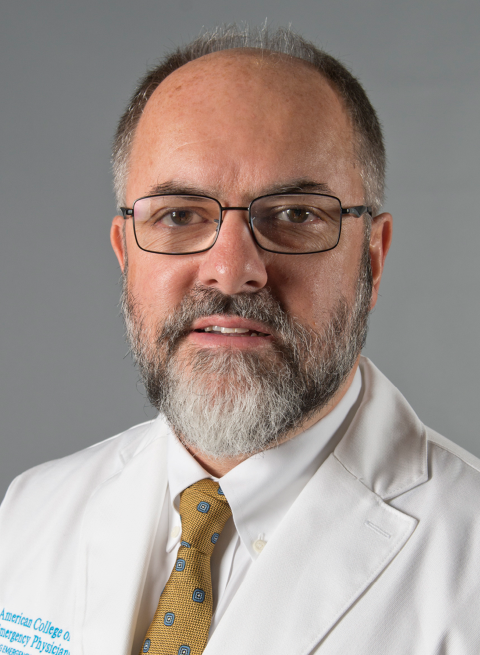 We worked with leading expert Jeffery Kline, MD, professor of emergency medicine and physiology and vice chair and division chief of research in the Indiana University department of emergency medicine, to develop our pulmonary embolism protocol and keep it current. EvidenceCare protocols are curated to be specific to each individual patient, designed through a series of patient-specific questions as well as risk calculators to help you take every aspect of the specific situation into account when developing a treatment plan. We know you also don’t have long to make a decision, so we’ve developed an interface that will allow you to determine a treatment plan within as little as 30 seconds. These protocols are kept as current as possible. Staying updated on warning signs, new research, and categories of patients who may be prone to a blood clot is easy. We make sure all of our protocols are this robust so you can find what you need when you need it and spend more time in front of your patient. If you’re interested in having access to our evidence-based content at the bedside, sign up for EvidenceCare here. It’s free and provides you with evidence-based clinical decision support as well as content to help you better communicate your treatment choices to patients. Did we mention it’s free?